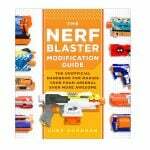 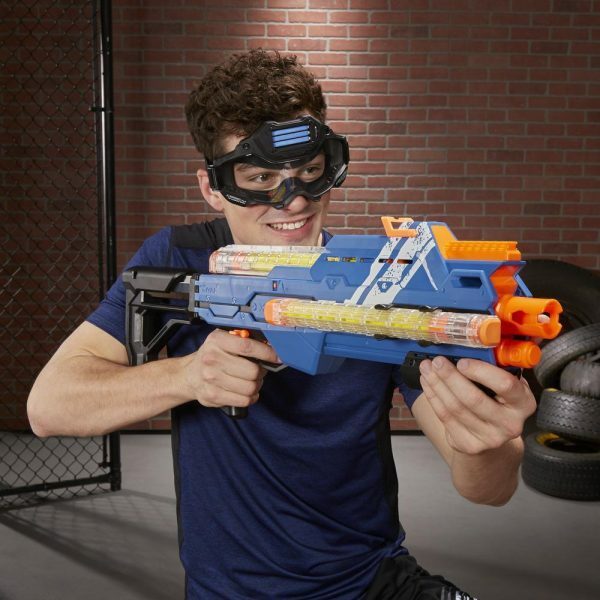 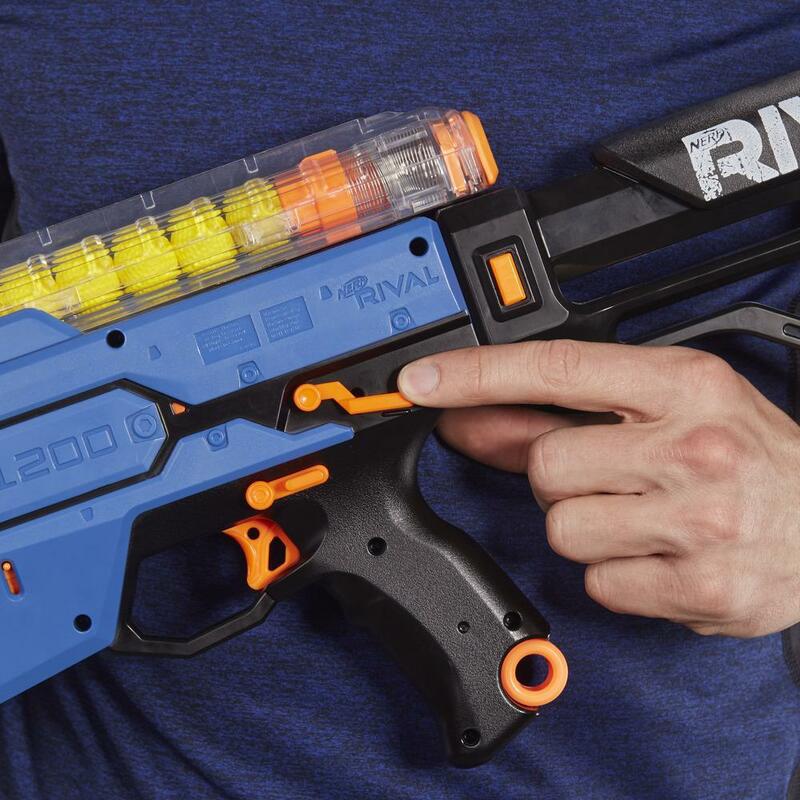 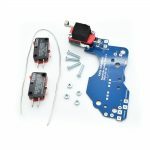 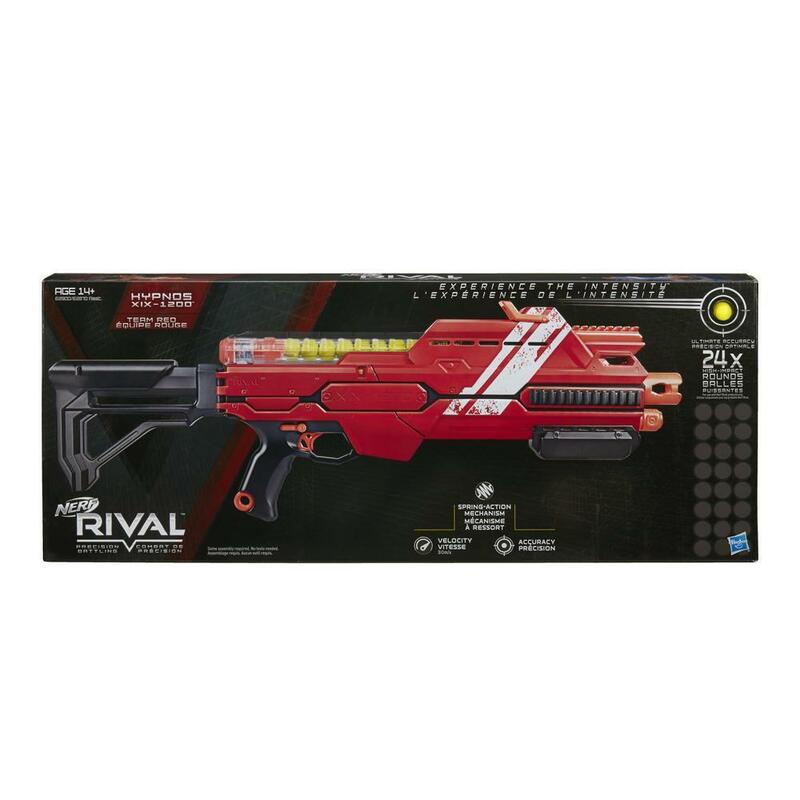 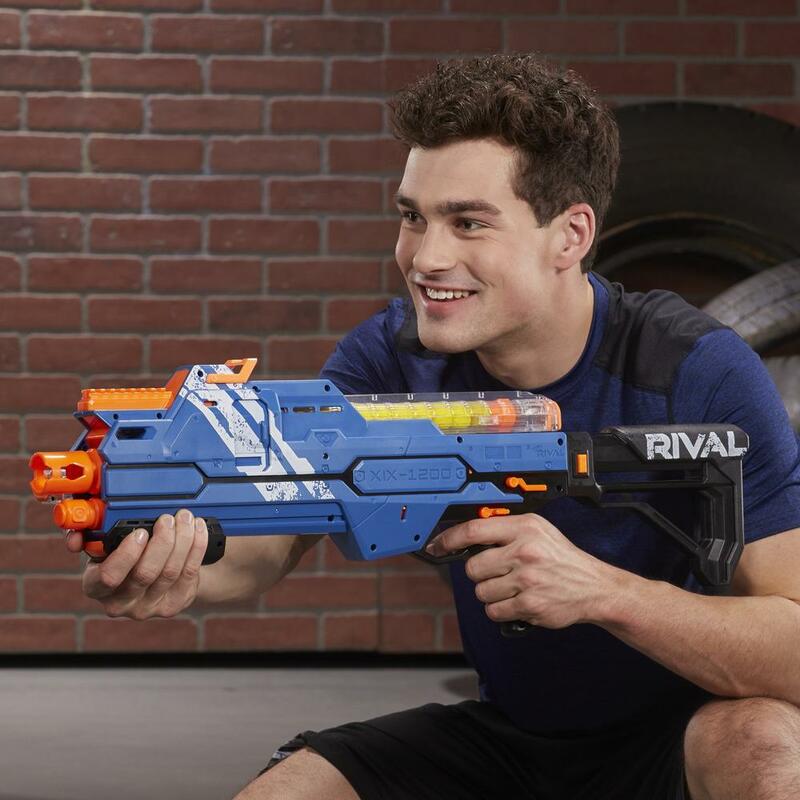 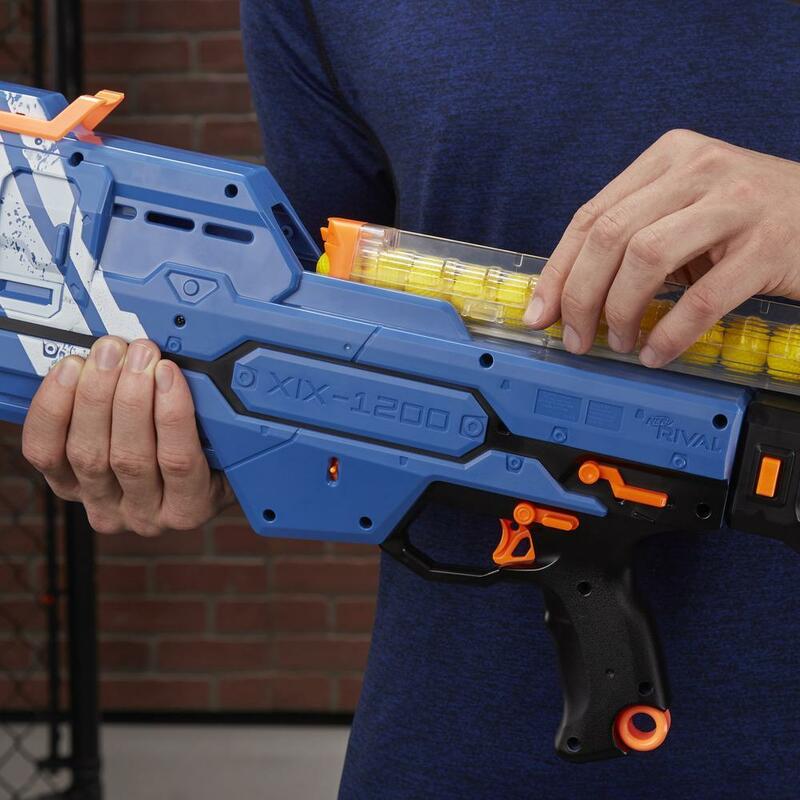 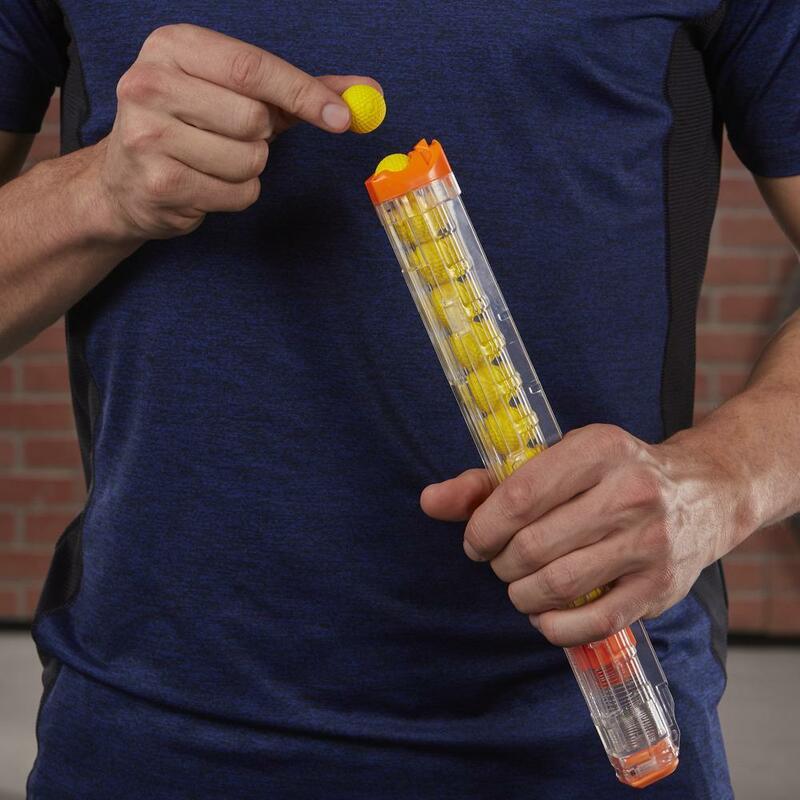 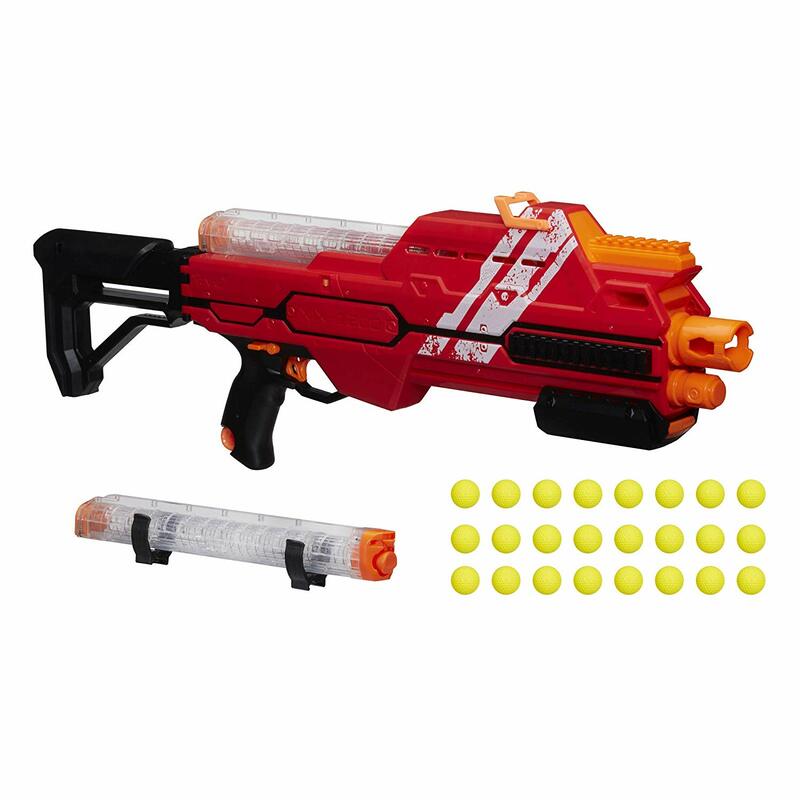 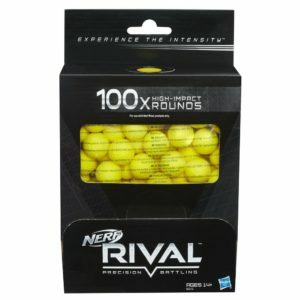 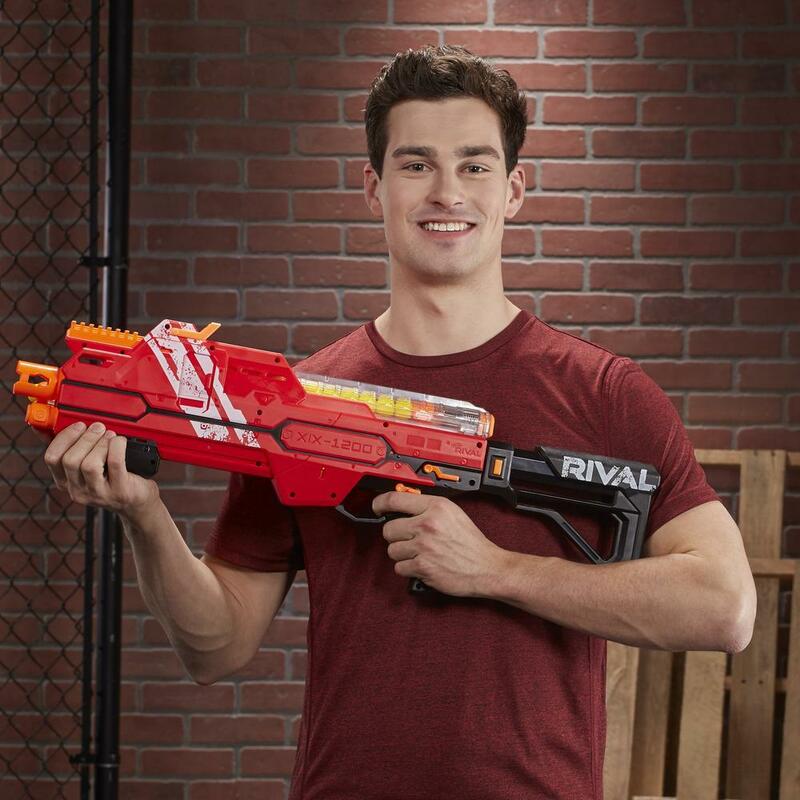 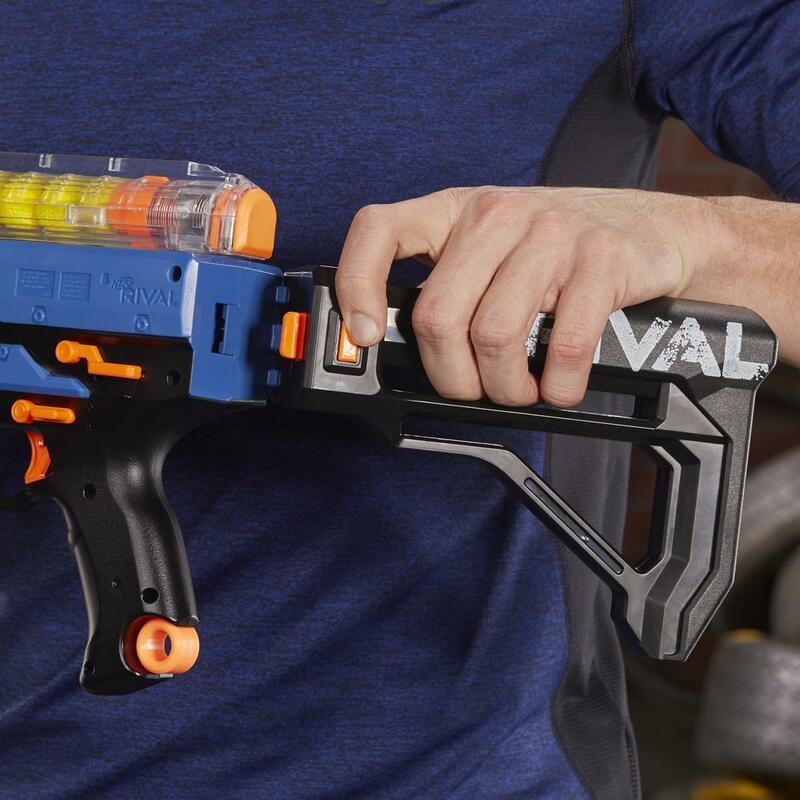 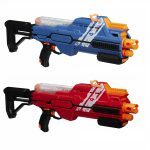 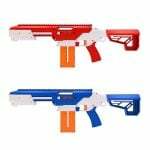 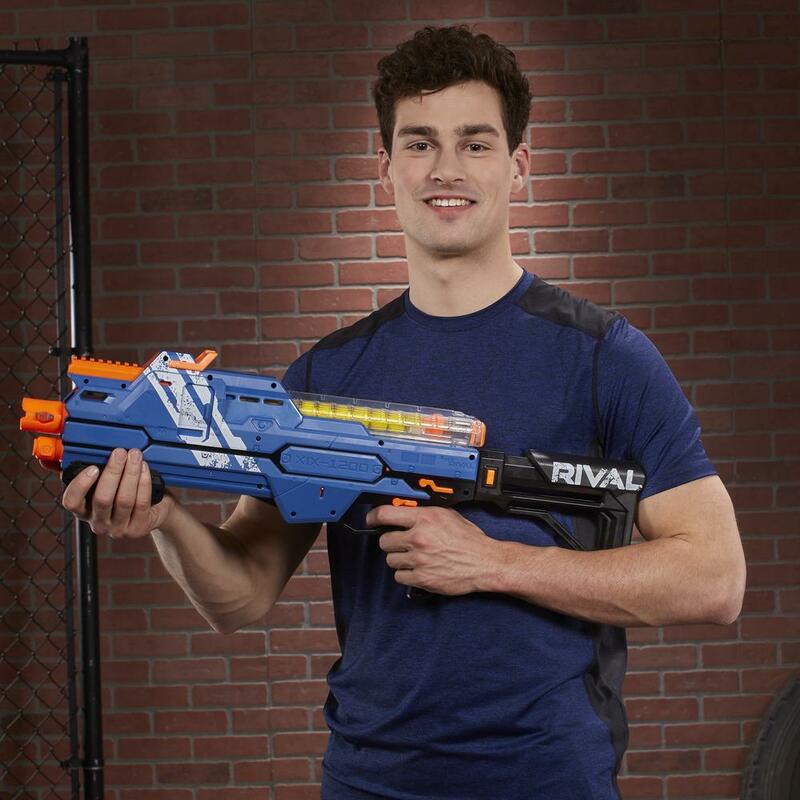 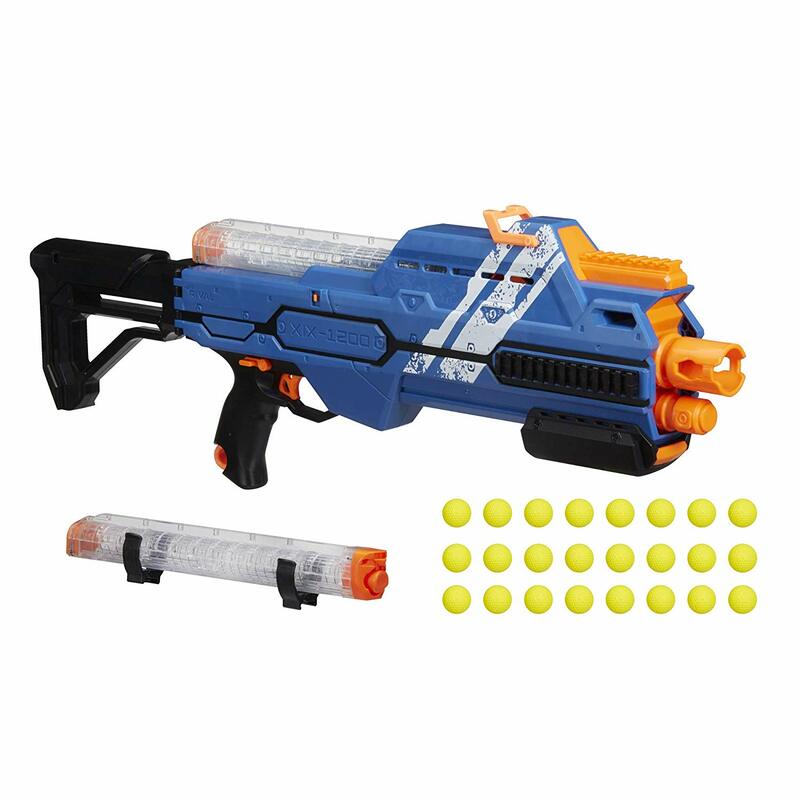 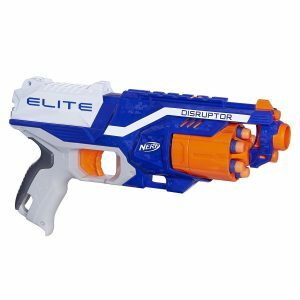 The NERF Rival Hypnos XIX-1200 is a great Rival blaster that uses the 12-round Rival magazines! The blasters comes with two magazines, so you can load 24 rounds in total. 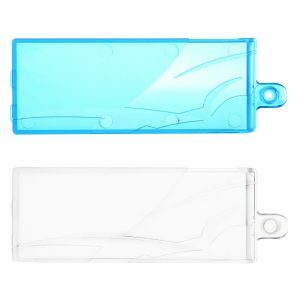 The second magazine clips to the side of the blaster. 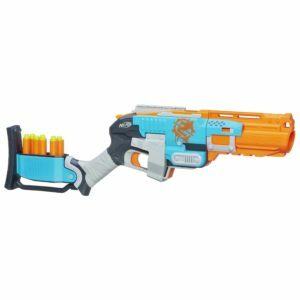 The Hypnos is a spring powered blaster that has a nice pump grip and collapsable stock.